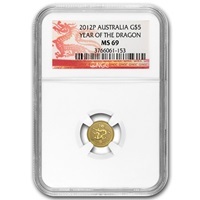 The 2011 coin contains 1/10th oz of 22ct Gold and is struck to Proof FDC quality. The 2011 Britannia coins uses the now classic ‘Modern Britannia & Union Jack’ design, and set to become a true classic in Gold coin design. The Slabbed coin is accompanied with the original Royal Mint Certificate of Authenticity, and a velver type pouch to store in. NOTE: As we purchased a small batch of these coins, the slab serial number and certificate number may not be as in the listing images, but will be guaranteed one of the genuine issue coins.